For many centuries timber was the only practical option when it came to furniture. Nowadays we have manmade boards, veneers, stone, metals, plastics etc that we can incorporate into our furniture if desired. 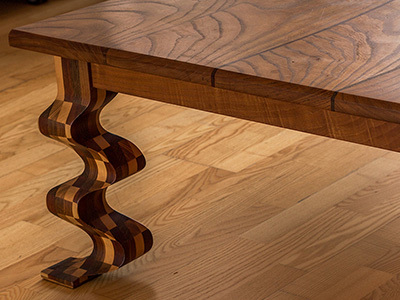 Even with the modern trend for mass manufacturing many clients want to know their furniture is built to last. They choose us to make their quality, timeless piece. 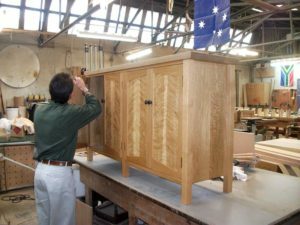 At Terry Neale Furniture we have an innate ability to understand and work alongside you, our client, to bring your aspirations to reality. As a matter of fact, “working alongside” is one of the most important parts of achieving the perfect piece. We come to your home to feel the aesthetic, measure and take a brief. We return with drawing/s, that may hit the mark first time, or we may use aspects of these initial drawings, and working together, hone it to a final design. Some people like to visit the workshop during manufacture. We embrace this, as the internals are as important as the externals. 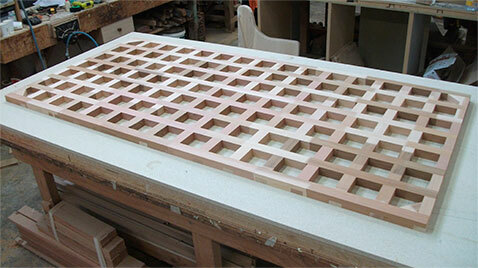 Seeing your piece during its manufacture will fully reveal the attention to detail.